The invasion of the autonomous cars are coming… well, almost. On deck first are semi-autonomous systems, which are engineered to operate in certain conditions and still require the driver’s attention. That would describe General Motors’ Super Cruise technology. It will be GM’s first true foray into the semi-autonomous world of driving, and one that has been hotly anticipated. Originally scheduled to debut in 2016, engineers and executives pushed the debut date back indefinitely to continue ironing out kinks, specifically after numerous incidents involving Tesla’s AutoPilot system. But, a new report from AutoGuide states the technology is aiming for a launch in the second half of 2017, and as we knew, it will debut with Cadillac first. Brandon Vivian, executive chief engineer at Cadillac, said the system will be unlike any other semi-autonomous system currently on the market for good reason. GM has spent many hours developing safeguards to ensure the driver remains attentive during the system’s use. But, the brand also said it will offer true hands-free driving in the system’s optimal conditions. “The difference between our system and others is that we’ll have technology to monitor the driver and make sure that they’re being attentive,” explained Vivian. 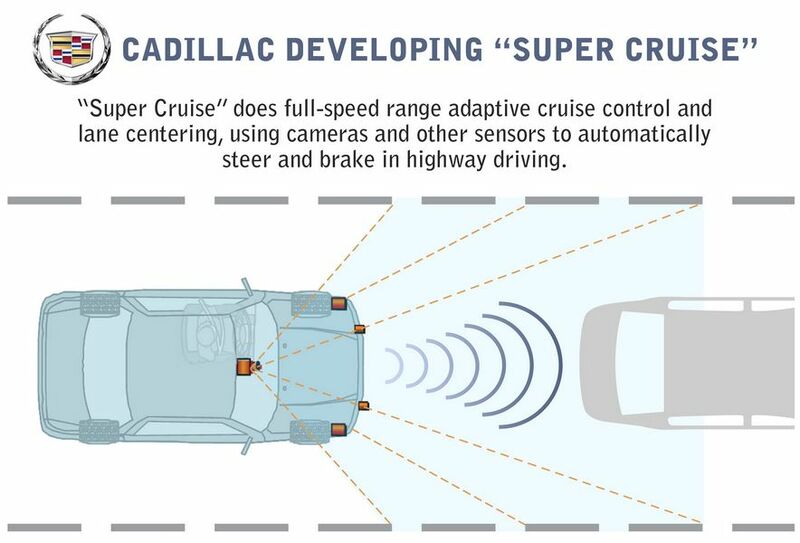 Super Cruise has been developed to operate on interstates, and Cadillac says the vehicle will give a clear indication as to when the system may be engaged. “It’s geo-fenced to interstates only and we have those mapped,” he added. As for those safeguards, the system will use the latest facial and eye-tracking technologies to keep tabs on the driver. Dozing off, reading, or any other extracurricular activities are strongly discouraged during use. “We have lights on the steering wheel that will flash and illuminate and get your attention.” He added the system will also prompt periodic check-ins to ensure the driver is alert and conscious. If the driver does not respond, “the vehicle does have the ability to come to a stop safely,” Vivan assured. Cadillac firmed up its stance on autonomous vehicles months earlier, stating it will always offer drivers the opportunity and luxury to let go of the steering wheel, but also to regain control at their leisure, per Cadillac President, Johan de Nysschen. Daring Greatly. Uwe better pitch this technology flawlessly to the public for Cadillac to capitalize on their investment. This system is already late to the party. Although I’d rather them get it right than rush it.